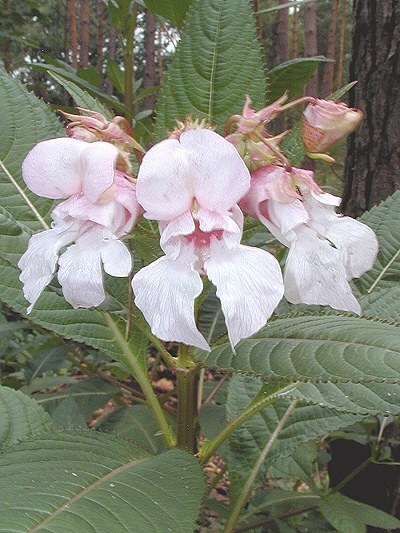 Description: Impatiens is an annual plant, and is native to the Himalaya. The stem is fleshy and can reach a height of 7 inches. It is mostly found on shores, rivers, brooks and canals. The leaves are serrated. Most flowers are an intense mauve, but Dr. Bach used light mauve-colored blossoms exclusively. The plant blooms from July to September.